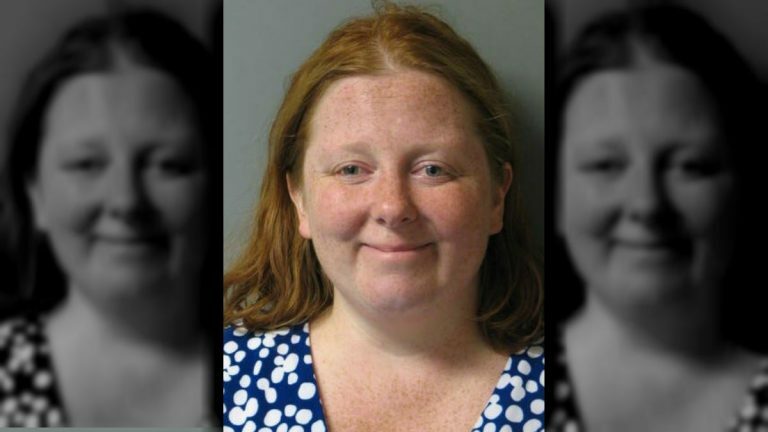 Delaware State Police arrested a Lewes mother for leaving her 2-year-old in a parked car, on a day when the temps soared above 90 degrees. State troopers were called to the Dollar General on Savannah Road last Friday at 4:45 p.m. to check on the welfare of a toddler left alone in a parked car. The two people who called 911 had already removed the little boy from the unlocked car, after they noticed he was belted in his car seat with the windows shut and the engine off. Police said the high temperature that day was 94 degrees. His mother, 34-year-old Nicole Eames, was found inside the Dollar General store. Police said she was driving while under the influence of a prescription drug and may have left her son in the car for more than an hour. The child was taken to the hospital where he was treated for dehydration and released to a family member. Eames was charged with reckless endangering and driving under the influence of a drug. She posted bail and was released on the condition that she have no unsupervised contact with her son.